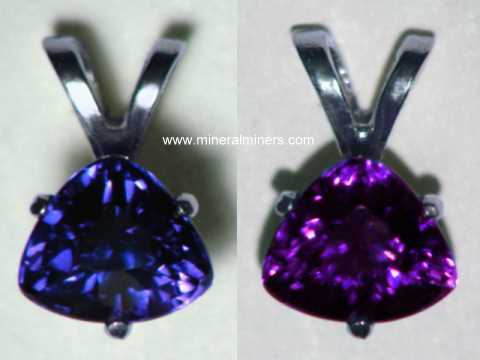 Try our Natural Blue Sapphire Specimens Satisfaction Guarantee - compare our prices and our superior quality. Click on any natural color blue sapphire mineral specimen image below to enlarge it. Sapphire Specimen Dimensions: 2.75" x 2.2" x 2"
This natural sapphire specimen is actually several intergrown crystals with some broken areas. The largest sapphire crystal has tapering hexagonal form. 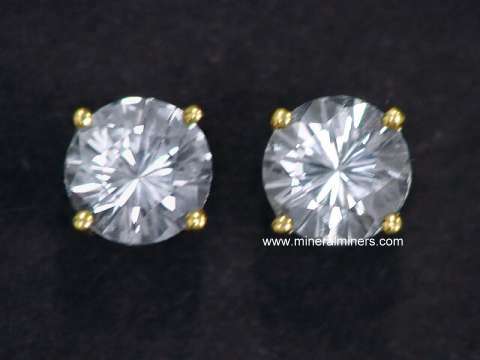 The sapphires are mostly translucent with natural gray-blue color. 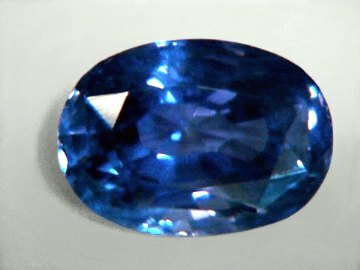 This blue sapphire specimen is completely natural; it has not been heated or treated in any way. See also an opposite side view of this natural blue sapphire specimen. 2.2" x 1.7" x 1.4"
This natural sapphire crystal is a terminated corundum crystal with some thin surface layers of feldspar and mica matrix on some surfaces. This natural sapphire crystal was mined in Tanzania. Under daylight it has natural colors ranging from grayish-yellow to grayish-blue with some reddish-brown areas as well, and it is translucent. There are brownish oxides on some surfaces. It has somewhat flattened hexagonal form. 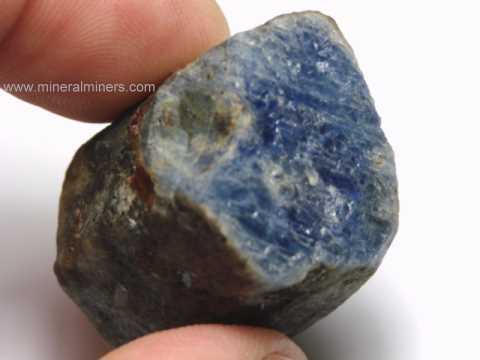 This sapphire crystal is completely natural, it has not been heated or treated in any way. This natural yellow and blue sapphire crystal weighs 1100.5 carats. It was mined in Tanzania and has natural colors ranging from grayish-yellow to grayish-blue, and it is translucent. There are some brownish oxides and a small amount of mica on some surfaces. This sapphire crystal has hexagonal form, and it is completely natural. It has not been heated or treated in any way. See also a back-view photo of this large size sapphire crystal specimen. 3.1" x 2.9" x 1.9"
This natural golden sapphire crystal weighs 2162.5 carats. It has natural golden-yellow and gray colors, and it is translucent. It has roughly hexagonal tapering form. 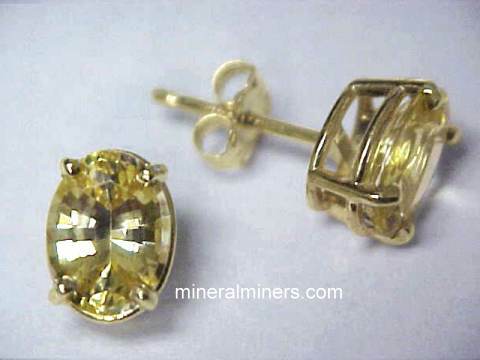 This golden sapphire crystal is completely natural, it has not been heated or treated in any way. See also a bottom-view photo of this large golden sapphire crystal. This golden sapphire specimen is actually 1/2 of a single larger golden sapphire crystal that split in half. The other half is item sblm176 - they fit together perfectly! 3.3" x 2.6" x 2"
This genuine golden sapphire crystal weighs 2452.5 carats. It was mined in Tanzania, and it has natural golden-yellow and gray colors It is translucent with roughly hexagonal tapering form. 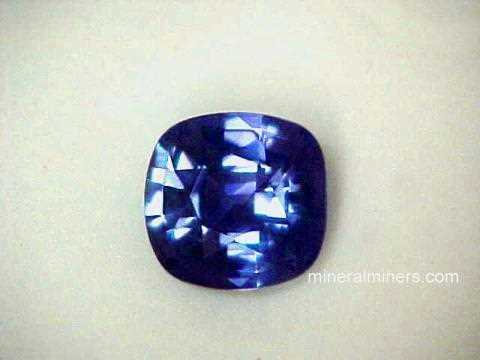 This sapphire crystal is completely natural, it has not been heated or treated in any way. See also a side-view photo of this golden sapphire crystal. This large golden sapphire specimen is actually 1/2 of a single larger golden sapphire crystal that split in half. The other half is item sblm175 - they fit together perfectly! 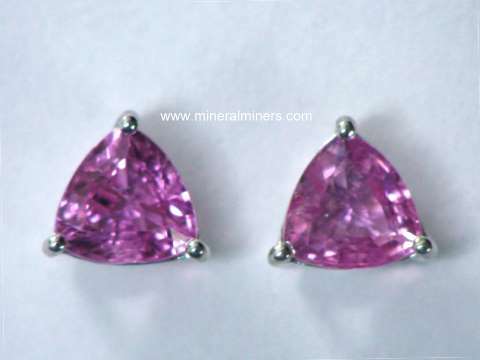 This natural sapphire crystal is translucent to semi-transparent with mostly purple to pink color zones and some small areas with natural blue color as well. This sapphire crystal is completely natural; it has not been heated or treated in any way. This natural color sapphire crystal has hexagonal form with very brilliant prismatic faces. The surfaces are in good condition. See also another view of this genuine Illakaka sapphire crystal. This natural sapphire crystal is translucent to semi-transparent with natural color zoning in shades of blue, purple, pink, red and orange. 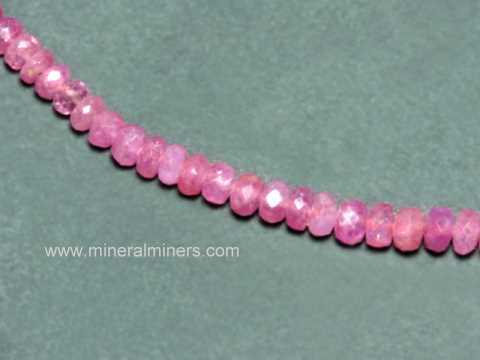 Where the pink and orange colors blend there is some natural orange-pink padparadscha color! This natural color sapphire crystal has hexagonal form with very brilliant prismatic faces. The surfaces are in good condition. This sapphire crystal is completely natural; it has not been heated or treated in any way. See also another view of this genuine Illakaka sapphire crystal. 25.28 carat Unique Natural Blue Sapphire Specimen! This natural, non treated transparent to translucent sapphire crystal, has a bipyramidal form with a unique crystal structure containing multiple termination points on a single crystal body. The faces are in good over all condition with striations and color zoning running perpendicular to the C axis. The coloring of the color zoning is a very strong deep blue in each end of the crystal grading to a near colorless central area of the crystal. The specimen contains moderate inclusions, throughout the specimen. 23.16 carat Very Light Natural Blue Sapphire Specimen! This natural, non treated transparent sapphire crystal, has a bipyramidal form with well formed faces and an overall frosty surface. With back lighting a very pale orange color zoning can be detected running perpendicular to the C axis through the center section of the crystal. The specimen is fairly clear of inclusions, under the frosty surface. This natural, non treated transparent sapphire crystal, has a bipyramidal form with well formed striated faces and an overall slightly frosty surface. With back lighting the specimen is fairly clear of inclusions. See an opposite side view of this natural colorless sapphire crystal. See also an end view of this colorless sapphire specimen. See also another view of this natural colorless sapphire crystal specimen. 25.88 carat Natural Light Yellow Sapphire Specimen! This natural, non heated or treated yellow sapphire crystal is doubly terminated with well formed striated faces all in good condition. The crystal appears mostly transparent with yellow coloring throughout. There is some color zoning with small areas of deeper yellow color. The specimen contains inclusions in the central section but has some eye clean areas throughout. This natural sapphire crystal section has hexagonal form and it weighs 52.7 carats. 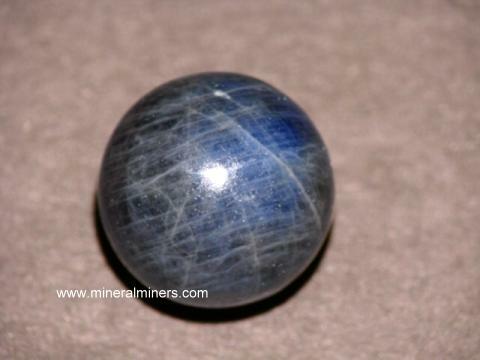 It has strong natural gray-blue color inside, and the sapphire is translucent to semi-transparent. It is partially encased by a thin layer of white minerals on some surfaces. This blue sapphire crystal is completely natural; it has not been heated or treated in any way. This natural sapphire crystal has hexagonal form and it weighs 179.3 carats. It has natural gray color inside with some slightly blue-gray areas, and the sapphire is translucent to semi-transparent. It is encased by a thin layer of minerals on all surfaces except the cleaved exposed sapphire surface shown at left. This sapphire crystal is completely natural; it has not been heated or treated in any way. This natural sapphire crystal has hexagonal form and it weighs 46 carats. It has natural dark gray-blue color, and it is mostly translucent with some semi-transparent areas. This blue sapphire crystal is completely natural; it has not been heated or treated in any way. This natural sapphire crystal has hexagonal form and it weighs 64.5 carats. It has natural dark gray-blue color and has a small area at one end showing natural yellow color. It is mostly translucent with some semi-transparent areas. This blue sapphire crystal is completely natural; it has not been heated or treated in any way. This natural sapphire specimen is a crystal section with hexagonal form and it weighs 92.5 carats. It has natural grayish blue color inside with some areas showing very strong blue natural color, and the sapphire is translucent to semi-transparent. It is encased by a thin layer of white minerals on some surfaces and there is some brownish red garnet on one side. This blue sapphire crystal is completely natural; it has not been heated or treated in any way. See also an opposite side view of this natural color blue sapphire mineral specimen. This natural sapphire specimen is a corundum crystal with hexagonal form and natural blue color. The sapphire is mostly translucent grading towards semi-transparent. There is a thin layer of minerals on some surfaces and there are some brownish red garnets embedded on one side. This blue sapphire crystal is completely natural; it has not been heated or treated in any way. 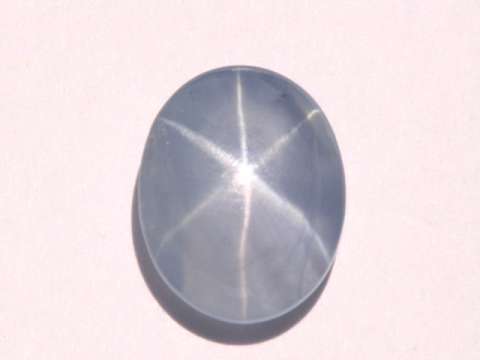 See also an opposite side view of this natural color blue sapphire crystal. This natural sapphire specimen is a crystal section with good hexagonal form and it weighs 106.2 carats. It is naturally color zoned and has natural gray-blue color all around the outside of the crystal with a gray center that has slightly pinkish gray hues. It is mostly translucent grading into semi-transparent. This genuine blue sapphire crystal specimen is completely natural; it has not been heated or treated in any way. This natural sapphire specimen is a crystal section with hexagonal form and it weighs 133 carats. It has natural grayish blue color inside with some areas showing very strong blue natural color, and the sapphire is translucent to semi-transparent. It is partially encased by a thin layer of minerals on some surfaces. This blue sapphire crystal is completely natural; it has not been heated or treated in any way. See also an opposite side view of this natural color blue sapphire mineral specimen. This natural sapphire crystal has hexagonal form with some interesting crystal impressions in its surfaces and it weighs 106.2 carats. It has natural gray-blue color. It is mostly translucent grading into semi-transparent. This genuine blue sapphire crystal specimen is completely natural; it has not been heated or treated in any way. See also another view of this natural color blue sapphire crystal. This natural sapphire crystal specimen has hexagonal form and it weighs 275.6 carats. 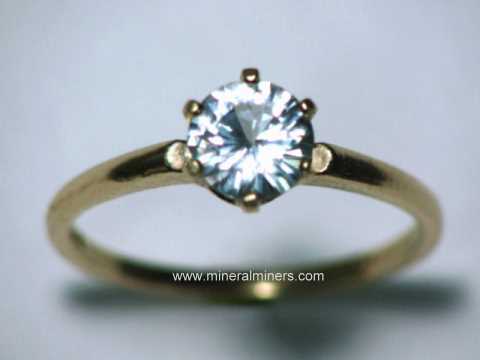 It has natural strong blue color inside, and the blue sapphire is semi-transparent! It is encased by a thin layer of minerals on all surfaces except the exposed sapphire surface shown at left. This sapphire crystal is completely natural; it has not been heated or treated in any way. See also an opposite side view of this genuine blue sapphire specimen. This natural blue sapphire specimen is a crystal section with hexagonal form that weighs 526.7 carats. 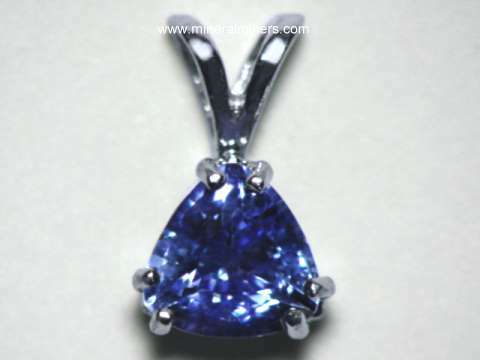 It has natural strong blue color inside, and the blue sapphire is translucent to semi-transparent. It is encased by a thin layer of brown oxidized minerals on all sides with the blue sapphire exposed at each end. This sapphire crystal is completely natural; it has not been heated or treated in any way. See an opposite side view of this genuine blue sapphire specimen. See also an opposite end view of this natural color blue sapphire mineral specimen. This natural sapphire specimen is actually two intergrown partially terminated sapphire crystals weighing 528 carats total weight. 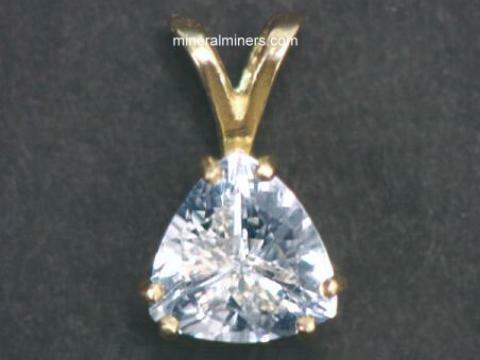 It has natural blue color, and the sapphire is translucent to semi-transparent. It is partially covered by a thin layer of minerals on some surfaces. See also an opposite side view of this natural blue sapphire specimen. This blue sapphire specimen is completely natural; it has not been heated or treated in any way. This natural sapphire crystal has hexagonal form and it weighs 216 carats. It has natural dark gray-blue color, and it is mostly translucent with some semi-transparent areas. This blue sapphire crystal is completely natural; it has not been heated or treated in any way. See also another view of this genuine blue sapphire crystal. 805.5 carat Blue Sapphire Specimen! This natural sapphire specimen is a partially cleaved sapphire crystal weighing over 800 carats! 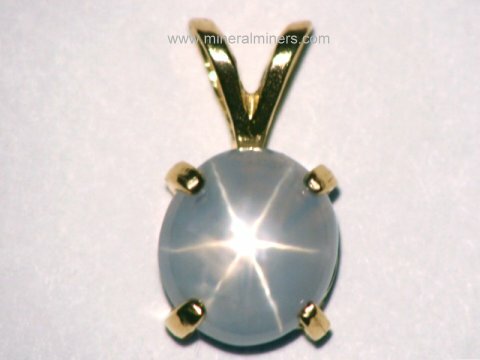 It has natural gray-blue color, and the sapphire is translucent to semi-transparent. It is partially covered by a thin layer of minerals on some surfaces. This blue sapphire specimen would yield a single cabochon gem weighing over 400 carats. See also an opposite side view of this natural blue sapphire specimen. This blue sapphire specimen is completely natural; it has not been heated or treated in any way. This is the end of our genuine Blue Sapphire Crystals and Blue Sapphire Mineral Specimens virtual gallery page. 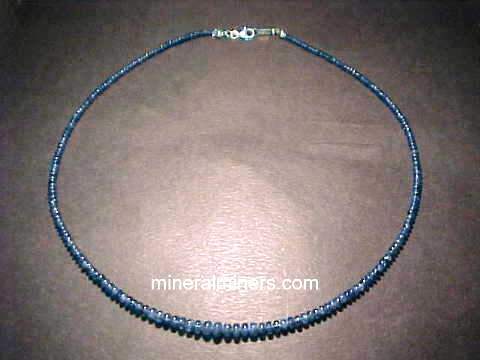 Our blue sapphires are genuine blue corundum that formed inside the earth. 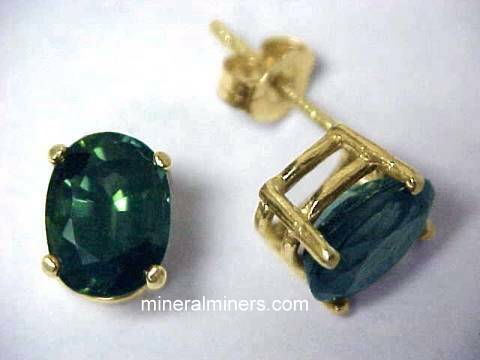 See also our pages displaying natural tourmaline crystals, natural blue sapphire gemstones, and our genuine blue sapphire jewelry. We have genuine blue sapphire mineral specimens and crystals in matrix that were mined several different locations including large translucent blue sapphire crystals from Tanzania and some small gem grade blue sapphire crystals from Sri Lanka (Ceylon). We have been hand-selecting our blue sapphire gemstones direct from the miners in Ceylon (Sri Lanka) since 1984, and we have a wide range of sizes & qualities in stock including GIA certified Ceylon blue sapphire collector gemstones weighing over 15 carats! We also have a selection of natural blue sapphires that were mined in Thailand, in Australia, and in East Africa. 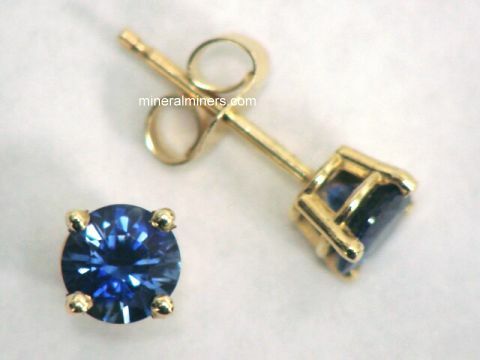 We also have some nice matching pairs of natural blue sapphire gemstones that are perfect for blue sapphire earrings. 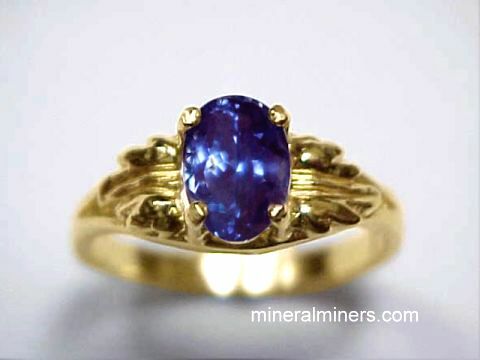 We have a large variety of genuine blue sapphire jewelry items available in 14k gold designs. 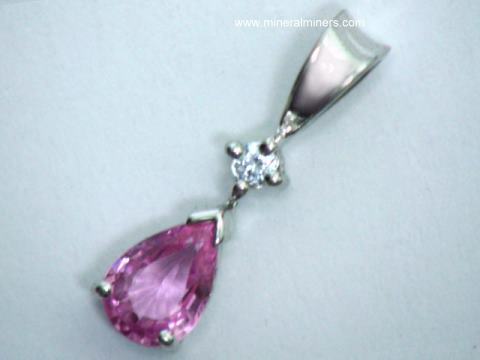 See the links below for a selection of superior quality genuine sapphire jewelry. To see more blue sapphire photos, just select another linked image shown below. Would you like us to inform you when we add on this page more natural color blue sapphire crystals and natural color blue sapphire in matrix mineral specimens? 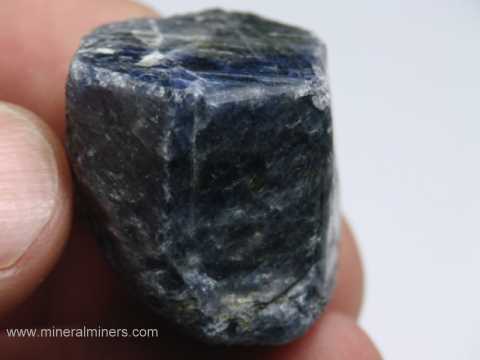 We do have additional inventory of natural blue sapphire crystals and matrix mineral specimens in stock, so be sure to let us know if you have any blue sapphire mineral specimen requests. Please contact our webmaster or our 'site' geologist with any questions or comments.